In 2003 the marine aquarium world was taken by storm, thanks to the release of the Disney film Finding Nemo. Suddenly, the clownfish was forever cemented as a children’s film icon, and kids all over the world wanted a “Nemo” of their own. Sadly, in 2003, the rise of captive bred clownfish hadn’t replaced all wild-caught fish with specimens born and raised in an aquarium. Parents’ rush to satiate their children’s nagging for a pet clownfish led to many specimens kept in inappropriate conditions, and eventually dying. 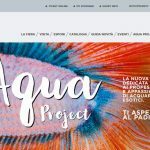 In fact, the theme of the film that suggested fish believed a flush down the toilet led to freedom, generated controversy among aquarists and conservationists. Eventually Disney hired none other than Jean Michelle Cousteau (son of legendary ocean explorer Jacques Yves-Cousteau) to offer a disclaimer video on the film’s DVD release, cautioning both parents and children about the responsibility required when keeping marine fish, and how aquariums effect wild fish populations. 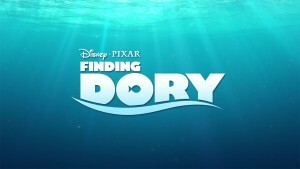 Now, 13 years later, Finding Nemo’s upcoming sequel, Finding Dory is expected to stir more youthful interest in marine aquariums. 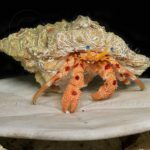 This time though, the hobby and trade are far more prepared than the first time, with 13 years of innovation and methodology that makes owning a marine fish easier than ever. Since the clownfish craze came and went via the first film, it’s likely another marine animal may be on children and parents’ wish list this time around, and that is none other than the seahorse. Since a seahorse is one of the film’s title characters, it’s quite possible this unique and alluring animal will excite movie goers into convincing their parents that a seahorse tank is a must. 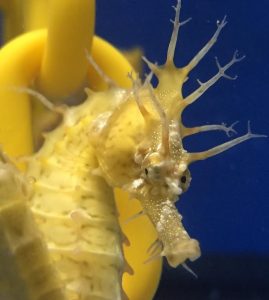 To catch up on the current state of keeping seahorses, I reached out to Alyssa Gabriel, owner and founder of Alyssa’s Seahorse Savvy in Salisbury, Maryland. Alyssa and her fiancé Kyle operate Seahorse Savvy, and started breeding various Hippocampus species after graduating from Salisbury University. Both studied animal biology and have a background in aqua-culture, which positioned them perfectly to breed and raise marine animals. After talking with Alyssa, it’s clear that today, even those with no experience in keeping marine aquariums can start and enjoy a seahorse tank. Captive raised seahorses continue a trend toward hearty animals, with bright colors and voracious appetites. 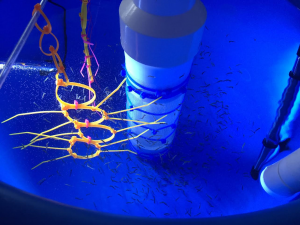 If Finding Dory does inspire a seahorse craze, it’s quite possible those who set-up seahorse systems after seeing the film, will realize more success than the amateur clownfish keepers of Nemo’s generation. Seahorse Savvy, seahorse keeping: According to Alyssa, a seahorse tank can be good for beginners on several fronts. One, captive raised seahorses like those she raises, are trained to eat mysis shrimp. When a new aquarist gets their seahorse pair(s), they are already eating and adjusted to aquarium life. A seahorse tank doesn’t have near as many demands as the typical reef aquarium. Seahorses don’t like strong current, so there is no need for over-powered circulation pumps. Also, if the aquarist doesn’t plan on keeping corals with their seahorses, there is no need for powerful (and expensive) reef lighting. 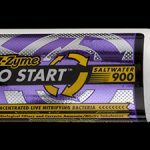 Alyssa does recommend a powerful protein skimmer, and reef level water quality is a must, even for a tank with only seahorses. 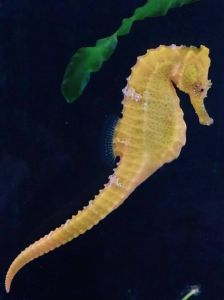 Luckily, it’s quite possible that new aquarists keeping only seahorses, won’t need to worry about measuring and balancing calcium, alkalinity and magnesium – along with the other elements familiar to reef keepers. 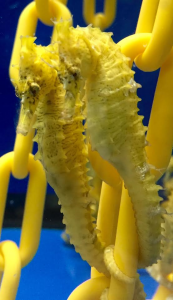 One great thing about seahorses is that they are compatible with a variety of easily kept corals, meaning that a new seahorse keeper could expand into the realm of reef-keeping. Gorgonians, sponges, leather corals and zoanthids all make great additions to a seahorse specific tank. Soft corals are notoriously easier to keep than hard corals, with less demands on lighting and water chemistry. 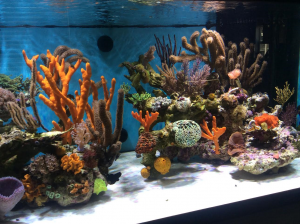 As you can see from the photos of Alyssa’s breeding set-ups, a seahorse aquarium can be beautiful, and makes an eye-catching conversation starter, even among a full-blown reef aquarium. A few notes about seahorses: Alyssa pointed out a commonly held belief among seahorse keepers, and that is not to mix them with fish. Seahorses are slow, particular eaters and even non-aggressive fish will out-compete them for food. Even captive raised seahorses can stress, and when they do, often they cease eating entirely. It can be very difficult to bring a seahorse back from extreme stress, so keeping them as the only fish in the aquarium is a must. Many hard corals (especially euphyllia species) and anemones have a strong sting, strong enough to damage a seahorse’s body. This type of damage can lead to a secondary bacterial infection, which would be tough to treat for a beginning aquarist. For that reason, it’s best that seahorse keepers stick to soft corals and gorgonians. While Alyssa does breed several different seahorse species, Hippocampus erectus is the hardiest by far, and the primary species recommended for beginners. A seahorse tank doesn’t have to be reef-like in an overly complicated manner. Usual mechanical, biological and chemical filtration works fine, in conjunction with a powerful protein skimmer. 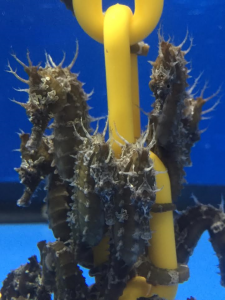 Often a return pump or small sized circulation pump provides enough water-flow, however if mixing seahorses and corals, an equilibrium that works for both animals will need to be established. Since seahorses like cooler water temperatures (not exceeding 76 degrees) there is no need for overly-powerful heaters, or multiple heaters. 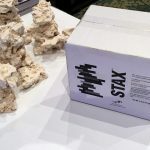 General reef sand (or live sand) works well for seahorse aquariums, and decorating the tank with live rock suits both the horses, and aids in establishing biological filtration. Seahorses do require anchoring posts, a place within the aquarium where they can wrap their long tails and remain stationary. While gorgonians and some marine plants work as posts, something artificial often works better. Various fake plants, or aquarium decorations are suitable as anchoring posts, although they need to be secure and not moved by water current. 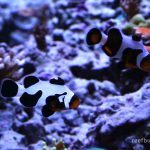 A sea-change since 2003: With the release of Finding Dory this year, the aquarium hobby is far more poised to offer young and beginner marine aquarists hardy fish. Not only are captive raised seahorses suitable for beginning marine aquarists, but captive raised clownfish have made the trademark Nemo an achievable reality, even for budding marine aquarists. If you want to get in early and make your child the happiest Finding Dory fan ever, Seahorse Savvy can be contacted here. Alyssa has been praised for her attention to detail, customer service and shipping/packaging – so I can’t think of a better place to take your fish steps into seahorse keeping.